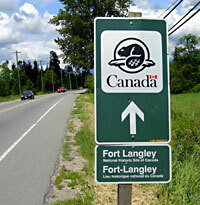 CPF and the Fort Langley National Historic Site are partnering up for this year’s Vive Les Voyageurs Festival. Enliven a grey January weekend with the rich and warm French-Canadian culture that made 19th-century Fort Langley so unique. Children of all ages will enjoy dancing to interactive Métis dance presentations and French-Canadian music performances. They will also have the opportunity to make crafts, and learn finger weaving. Take time to sample some tasty bannock and butter after the baking presentation. Fill up on delicious French Canadian themed vendors all the while listening to live Voyageur-style music. The Fort’s historical presentations will be ongoing for the duration of the day. Regular admission fees apply ($7.80 per adult); free for annual pass holders: get a family annual pass for only $39.20 or $34.30 for CPF members. On January 24th, all CPF members will receive a 30% discount on a Fort Langley annual family pass. CPF BC & Yukon and the Langley Chapter are teaming up to offer free snow taffy to the first 50 CPF Langley families and 25 CPF lower mainland attendees.